Both plant and animal cells are eukaryotic cells, i.e., they have complex structures but the structures of both types of cells have major differences. Animal cells do not have rigid cell walls like plant cells. This allows animal cells to form and adopt various shapes. A type of animal cell called the phagocytic cell can even absorb other structures. This ability is not inherent in plant cells. Further, unlike animal cells, plant cells have chloroplasts for the utilization of sunlight and this is what also gives plant cells their green color. It is with the help of chloroplasts that contain chlorophyll, the plant cells perform the function of photosynthesis which is a process absent in animal cells. Plant cells also contain a larger central vacuole (enclosed by a membrane) as compared to animal cells. Also, while animal cells depend on an analogous system of gap-junctions that allows communication between cells, the plant cells use linking pores in their cell wall to connect to each other and pass information. Many types of plant cells, particularly in species like conifers and flowering plants, there is an absence of flagellae and centrioles that are found in animal cells. Plant cells are also classified into three types. 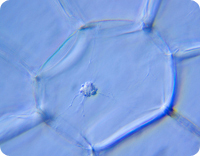 The parenchyma cells help in storage, photosynthesis-support and other functions and collenchyma cells are only present during the time of maturity and have only a primary wall. The sclerenchyma cells help in mechanical support. When it comes to animal cells, there are 210 distinct types of these in the human body. There is another major difference between plant and animal cells. While the former turn carbon dioxide into sugar, it is the animal cells that break the sugar back down to carbon dioxide to make energy. This also reflects the cyclic functions of Nature and the interdependence of organisms through which Life on earth flourishes. lanceaksh. "Difference Between Animal and Plant cells." DifferenceBetween.net. April 28, 2010 < http://www.differencebetween.net/science/difference-between-animal-and-plant-cells/ >. are you a dude or a chick? Its really a fantastic site for me like children. Text me at 7277077249.
llllllllllllllllllllllllllllllllllllllllllllllllllllllllllllllllllllllllllllllllllllllllllllllllllllllllllllllllllllllllllllllllllllllllllllllllllllllllllllllllllllllllllooooooooooooooooooooooooooooooooooooooooooooooooooooooooooooooooooooooooooooooooooooooooooooooooooooooooooooooooooooolllllllllllllllllllllllllllllllllllllllllllllllllllllllllllllllllllllllllllllllllllllllllllllllllllllllllllllllllllllllllllso, that is all the differences that have on this so call website???????????????????????????????????? I don’t agree with you brats. I liked this website a lot!